Pioneers in the industry, we offer micro fuge, bench top centrifuge, mini high speed centrifuge, neofuge 1600r laboratory centrifuge, high speed microcentrifuge and clinical laboratory centrifuge from India. The Velocity 14 / 14R centrifuges feature a compact footprint and provides the flexibility to alternate from micro-volume centrifugation to medium-volume centrifugation at an impressive maximum speed of 14,000 RPM / 20,290xg. The versatile design of the Velocity 14 / 14R centrifuges offers the best from the perspective of micro-volume and medium-volume centrifugation. The FA15A rotor is sufficiently fast and yet accommodating for up to 24 x 1.5/2 ml tubes with a terminal velocity of 14,000 RPM (18,726 x g) whilst the FA15C rotor has sufficient capacity for up to 6 x 50 ml tubes reaching an impressive terminal velocity of 14,000 RPM (20,290 x g) in V14R. The new SW4C Swing Bucket Rotor further expands the flexibility of the centrifuges to incorporate a wide range of new applications. With the Velocity 14 / 14R simply place the rotor on the drive shaft and that's all. The auto lock and secure mechanism performs the rest. Once centrifugation is complete simply lift the rotor off the drive shaft. the right conditions are set for the most precious of samples including density gradients. innovative motor engineering and mounting including a flexible drive shaft allow for greater imbalance tolerances, so much so that samples can be balanced simply with the naked eye. no more weighing, just fill tubes or bottles to within 5mm of each other. A powerful non-CFC compressor cools the chamber quickly whilst maintaining the rotor at set temperature during centrifugation. Twin cooling fans - one each for the compressor and motor respectively - dissipate heat quickly to improve cooling efficiency and extend motor life. The temperature displayed on the LCD panel during centrifugation is that of the rotor (and hence samples) and not the temperature of the chamber nor the temperature at the sensor to allow for more precise, reproducible and efficient experimentation. Non-contact imbalance detection and shutdown based on the run profile for each rotor across its entire speed range rather than the inferior and conventional micro-switch detector. 2. It offers a maximum speed of 15000rpm and maximum RCF of 23646×g. 3. 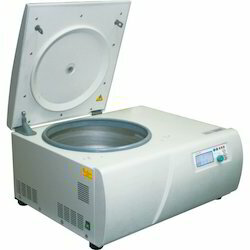 Using a swing-out rotor, the laboratory centrifuge provides a maximum capacity of 4×400ml. 4. 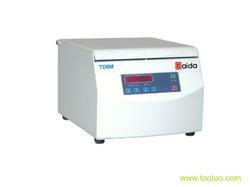 It uses a reliable "Strong drive" that is specialized for benchtop centrifuge. 5. 9 acceleration and 10 braking curves are available. 6. Neofuge 1600R laboratory centrifuge allows the storage of ten working modes for the convenience of future uses. 7. It utilizes a LCD display that indicates the speed, RCF, time, temperature, acceleration, braking rates and error message. 8. It will give alarms in case of any abnormal operating conditions. 9. Seven autoclavable (121 20min) ultra-duralumin airtight rotors are available. 10. 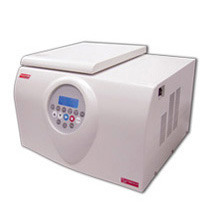 Our Neofuge 1600R laboratory centrifuge has automatic rotor identification function and rotor pre-cooling function. 11. It adopts an electronic imbalance detection system. 12. Our laboratory centrifuges use a patented lid lock system for safety. 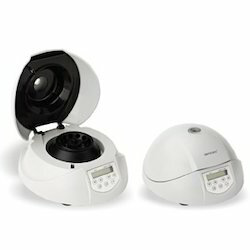 The Velocity 15u High Speed Microcentrifuge is designed to accelerate your laboratory works by providing excellent and reliable performance. The 15u combines convenience, durability and versatility in a safe, compact and easy to use instrument. 9. Interlocking door for safety 10. Display of abnormality: imbalance, over-speed, door-open, motor failure, communication failure and system failure.